Cool milled below 44°C from unroasted, mechanically hulled, Spanish almonds, and a little cold-pressed sunflower oil, no added salt. Almond butter contains significant amounts of protein, calcium, fibre, magnesium, folic acid, potassium, and vitamin E. Almond butter is rich in saturated fat and contains no trans-fats, so it's beneficial to your heart. Almonds are one of the complete sources of energy as well as nutrients. The nuts, especially, are rich in mono-unsaturated fatty acids like oleic, and palmitoleic acids that help in lowering LDL or "bad cholesterol" and increasing HDL or "good cholesterol" in the human body. Research studies suggest that the Mediterranean diet which is excellent in monounsaturated fatty acids helps prevent coronary artery disease and strokes by favouring healthy blood lipid profile. The nuts are an excellent source of vitamin E; hold about 25 mg per 100 grams (about 170% of RDA). The nuts packed with many important B-complex groups of vitamins such as riboflavin, niacin, thiamin, pantothenic acid, vitamin B-6, and folates. Why eat peeled almonds? 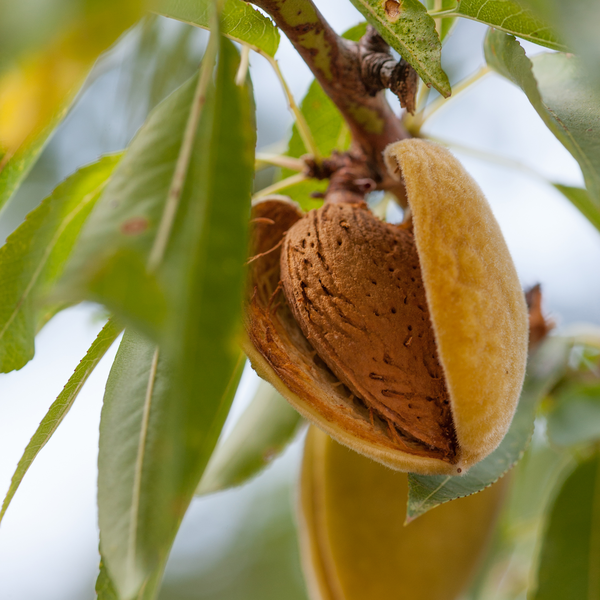 The peel of almond contains tannin, an enzyme inhibitor that is meant to protect the seed until it has perfect conditions for germination. Our body can't breakdown tannin, not only making the digesting almonds difficult, but also restricting your body from absorbing almonds nutrients. Cool milled below 44°C from unroasted, mechanically hulled, Spanish almonds, and a little cold-pressed sunflower oil no added salt. Delicious as a bread spread, in sauces, dressings, nut-milk, dips and baking. Almond butter contains significant amounts of protein, calcium, fibre, magnesium, folic acid, potassium, and vitamin E.
Almond butter is rich in saturated fat and contains no trans-fats, so it's beneficial to your heart. 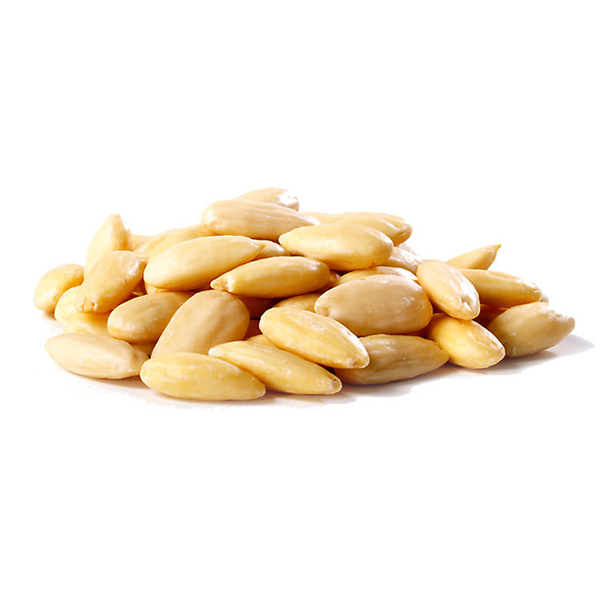 Organic peeled almonds 91% - Cold pressed organic sunflower oil. Natural nutritious oil may separate on the surface, just stir back in. Organic peeled almonds can naturally contain crop fragments etc. We check and remove, but cannot guarantee to have found every piece.